Calicos present such a dazzling tri color array of patterns and shapes! 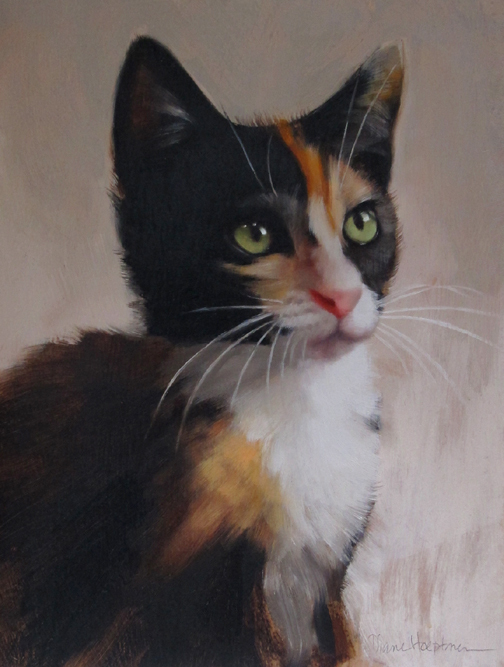 No two alike, always a fascinating cat to paint. Special thanks to Robyn at Love and Hisses for the photo inspiration. What a beautiful painting - and cat!